Tickets for “Unhinged”! Free! Please RSVP to SpeakEasyDC! Unhinged: True Stories about Living with Mental Illness premiers live on the SpeakeasyDC stage April 25th, 8:00 pm, at Emmanuel on High (no, not Immanuel on the Hill! ), 1608 Russell Rd, Alexandria, VA. Eight masterfully crafted first person tales of living with mental illness, loving someone with mental illness, or working in the field of mental illness. Tickets are now available. The performance is free. Please RSVP to SpeakeasyDC. Click on the link to reserve a seat. Let’s pack the house and make a difference. Categories: Spirituality and Mental Health | Tags: Advocacy, Emmanuel on High, mental health, SPEAKEASYDC, Stereotypes, Stigma, storytelling, Unorthodox&Unhinged | Permalink. 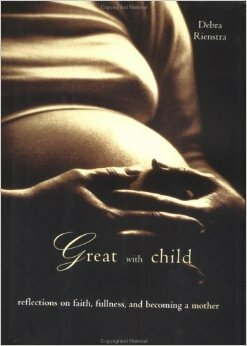 I am a woman with a storied past. I tell stories here weekly — stories most unorthodox and unhinged. Ghost stories, bedtime stories, bible stories, camp fire stories, family stories, horror stories, funny stories, glory stories, and true stories of a bipolar and sometimes balanced life. I tell the truth, the God’s honest truth and nothing but the truth one story at a time. There is no better way to tell the truth than to tell a story. And this woman is a devoted disciple of Jesus, the Story Teller. Whether you believe in Jesus or not really doesn’t’ matter. What matters is that Jesus was a hell of a storyteller. Seductively simple, Jesus’ arresting parables engage the head and disarm the heart. Folks who have never cracked open a bible in their lives immediately recognize the story of the Good Samaritan or the tale of the Prodigal Son. No better way to tell the truth than to tell a story. The Bible is really just a book of family stories. Some confusing, some comforting, some terrifying, some edifying, some mortifying, some glorifying, some death defying, some life giving, some poignant, some tragic, some miraculous, some crazy, some healing. Some might even say saving stories. So that is what I do for a living. I tell stories. I climb into the pulpit from time to time not to preach but to tell stories. The Gospel story is not meant to lie lifeless on the page. With a little help the words need to be made flesh. Made flesh in sight and sound, in touch and taste and smell. Yes what does this story smell like? And what does it really mean? Amy Saidman and I met in September. And we agreed — stories like mine need to be told far and wide. They need to be told live and on stage with a real audience up close and personal. A stage for people seldom seen. A venue for voices rarely heard. True stories truly making a difference. So let’s make this happen. OMG! SPEAKEASYDC is working with little old me. But not just me. I tell crazy stories so others like me can too. According to the National Alliance on Mental Illness, one in four adults – approximately 61.5 million Americans experiences mental illness in a given year. Approximately 20 per cent of youth ages 13 -18 experience severe mental disorders in a given year and approximately 13 per cent for ages 8 -13. Despite the profound impact that mental illness has on so many individuals, families, and communities it remains misunderstood and taboo. This is about me. This is about you. This is about us. All of God’s children have a story to tell. A unique, fresh, first person program, and out of the closet approach to mental health advocacy, produced in collaboration with SPEAKEASYDC, called “the gold standard in storytelling” by the Washington Post. SPEAKEASYDC is renowned for creating spaces in which diverse perspectives are expressed and heard through the art of contemporary autobiographical storytelling. Unhinged will feature eight masterly crafted true stories on the theme of living with a mental illness, loving someone with a mental illness, or working in the field. The storytellers will come from a wide variety of backgrounds, situations and settings. The program will be recorded by SPEAKEASYDC and made widely available for mental health advocacy and education. The performance is free to the public and is made possible by the generous sponsorship of the Friends of the Alexandria City Mental Health Center, Virginia Theological Seminary, The Rt. Rev. Shannon Johnston, NAMI, and Emmanuel on High Episcopal Church. And it’s not too late! You can be a sponsor too. We are more than two thirds of the way to reach our funding goal of $3000 which supports five weeks of training sessions for the storytellers, promotion, staging, and professional reproduction of the DVD. And I would be very grateful indeed — if you would consider a tax deductible gift to SPEAKEASYDC in support of Unhinged: True Tales of Living with Mental Illness. em>A little help can go a long way. I have a birthday coming up. A big birthday coming up and it ends in a zero! So can I challenge you, my friends, to contribute $6, $16, $60, dare I say even $600? The more we raise, the more these stories can be heard. The more these stories can be heard, the more people we can reach. The more people we can reach, the more difference we can truly make — to educate, elucidate, illuminate, and advocate on behalf of the many who live with mental illness. 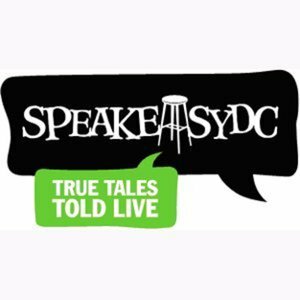 There are two ways to give: Click on https://tinygive.com/organizations/speakeasydc or you can Tweet “I’m giving $__ to @speakeasydc to support Unhinged: True Tales of Living w/Mental Illness 4/25 #tinygive.” Tinygive.com will contact you for details. People can give the same amount by retweeting too! Categories: Spirituality and Mental Health | Tags: bipolar disorder, Emmanuel on High, Friends of the Alexandria Community Mental Health Center, mental health, mental health advocacy, mental health education, NAMI, SPEAKEASYDC, storytelling, Virginia Theological Seminary | Permalink.